“My soapbox was waiting for me when I was born,” Lind said. “I’ve always taken that very seriously. My responsibility is to stand on a soapbox and holler.” (quoted in Duluth Budgeteer, 2002). 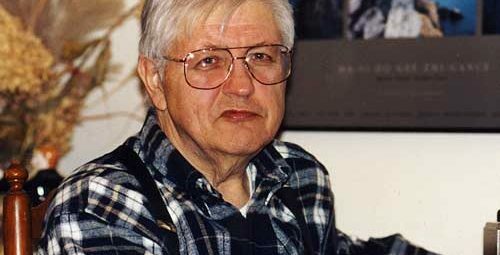 Alden Lind earned a PhD in political science from the University of Oregon in 1966 and was a professor of political science at the University of North Carolina, Chapel Hill, where he was also active in civil rights and union activities. In 1974, he returned to his native Minnesota and settled in Twin Points on the shores of Lake Superior. There, he became a leading activist in the protection of Lake Superior from pollution. He joined the Save Lake Superior Association and worked on a successful campaign to force a major mining company to stop dumping toxins into the lake. For the next 20 years, he continued to lead fights against other potential environmental threats to the lake. He was a member of the Izaak Walton League of America and the Parks & Trails Council of Minnesota, where he became president and chairman, and he became known as a relentless advocate for environmental protection in Minnesota.